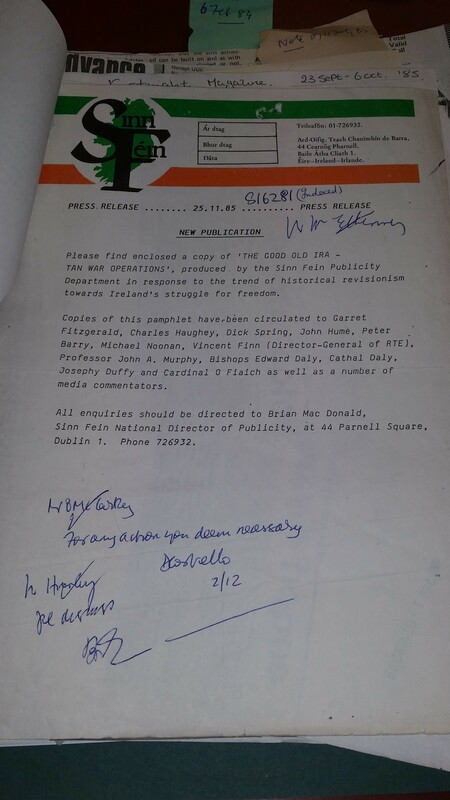 SO UNHAPPY AT the prospect of Sinn Féin as a political force were Fine Gael in 1985 that they even lobbied Charles Haughey to their side, according to papers released under the 30-year-rule by the National Archives. 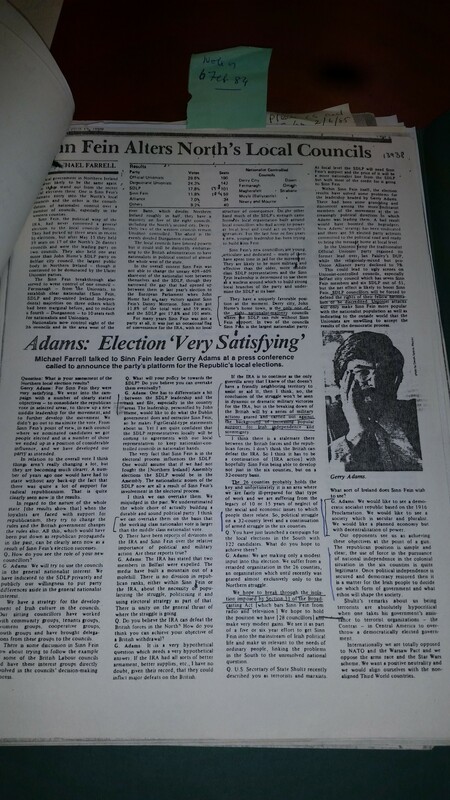 The abstentionist policies of Sinn Féin (ie their elected officials did not attend either the Dáil or the House of Commons in the UK) had not dulled their popularity 30 years ago – in the 1985 Northern Irish local elections Sinn Féin did remarkably well for a party that refused to practice parliamentary politics, something Gerry Adams did little to hide his delight about. 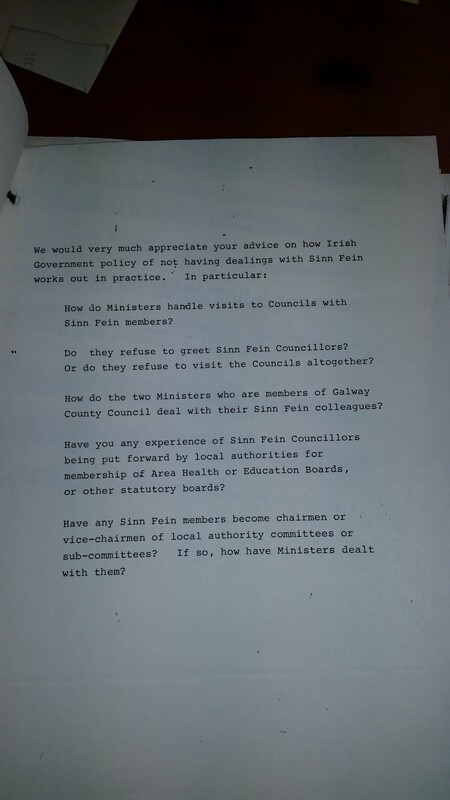 Fine Gael / Labour spent most of 1985 building up to the landmark Anglo Irish Agreement (AIA) in November of that year. Sinn Féin’s sniping from the sides meanwhile about what a disaster engaging with the British government might prove to be was not well received by the Irish government. In this the party was joined by the Unionists who were very mistrustful of the process. But in Sinn Féin’s case they were on the Irish government’s doorstep. Then Sinn Féin announced that it wanted to use Dublin’s Mansion House, seat of the Lord Mayor of the city, for its November 1985 Ard Fheis. Taoiseach Garret FitzGerald was not best pleased. “The spectacle of Sinn Féin’s annual conferences, at which unequivocal support is consistently given to the IRA’s campaign of violence, is abhorrent to the government,” he told a company director in a letter from the time. 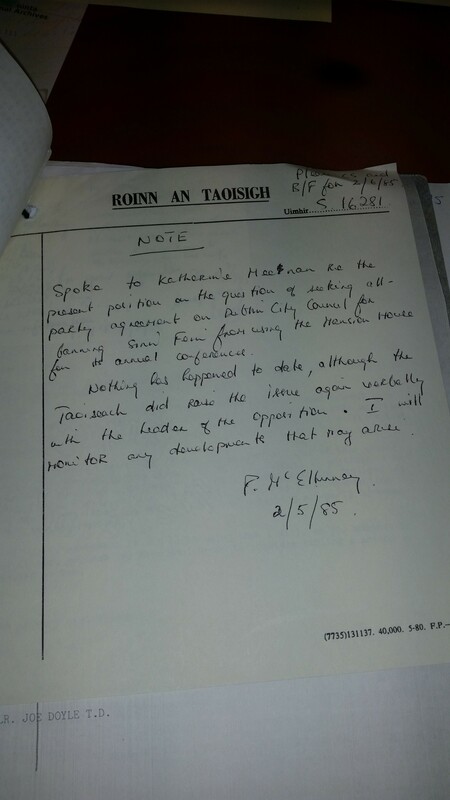 Sinn Féin had used the Dublin building in 1984 (and would do so again in 1986), but in 1985 the Fine Gael leader made it his personal mission to see that they were banned from the building. Unfortunately the use of the building came under the remit of Dublin City Corporation (the forerunner of Dublin City Council) and the government had no mandate to intervene. But sitting Dublin City councillors did. As such FitzGerald sought an all-party consensus on the issue as a means of exerting pressure towards the building being made unavailable for the Sinn Féin conference. 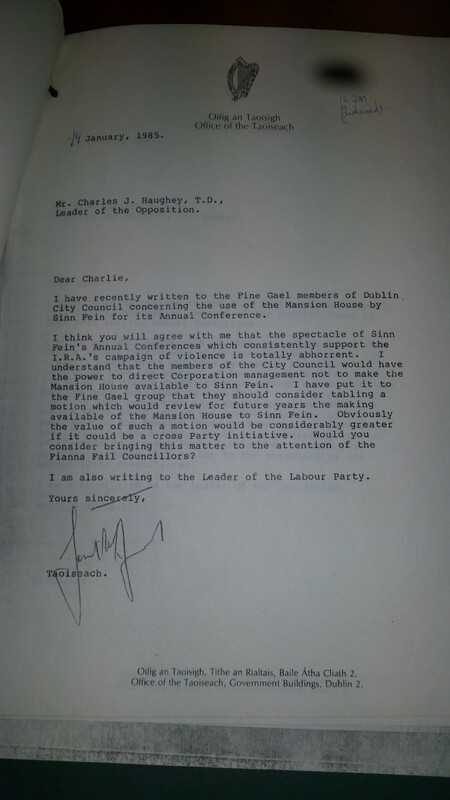 Hence the below letter to Charlie Haughey. “Dear Charlie… I understand that the members of the City Council would have the the power to direct Corporation management not to make the Mansion House available to Sinn Féin… Obviously the value of such a motion would be considerably greater if it could be a cross party initiative,” he wrote. Would you consider bringing this matter to the attention of the Fianna Fáil councillors? As matters transpired, the tactic didn’t work and the Sinn Féin conference went ahead at the Mansion House anyway. And the main topic of the meeting? Abstentionism, a vote on which to abolish same being narrowly defeated by 161 to 181 votes with Gerry Adams and Martin McGuinness abstaining. Cloak and dagger stuff in 1985 and no mistake. As for abstentionism itself? 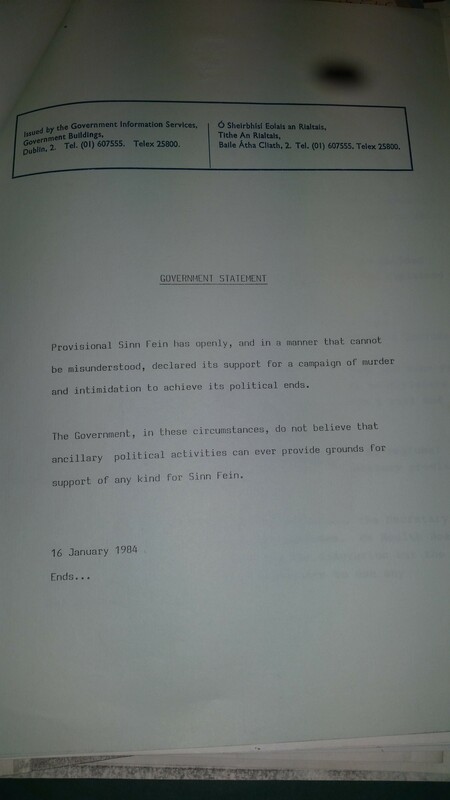 Sinn Féin voted to abandon the policy at the following year’s conference leading to a split in the party. 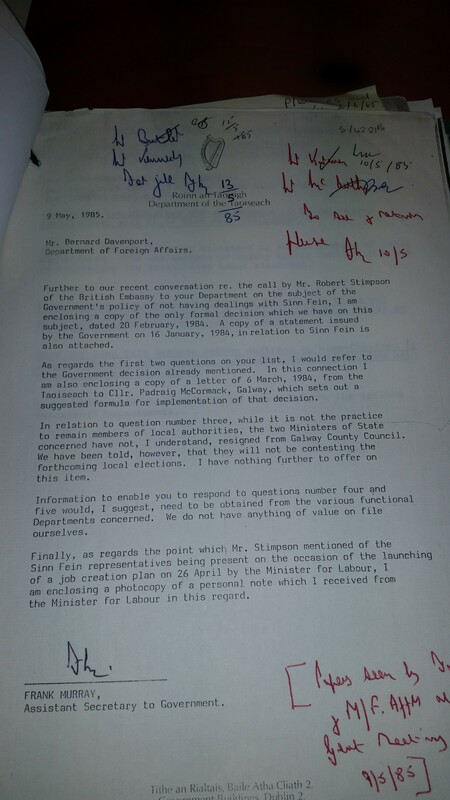 Email “Garret FitzGerald really, really did not like Sinn Féin in 1985”. 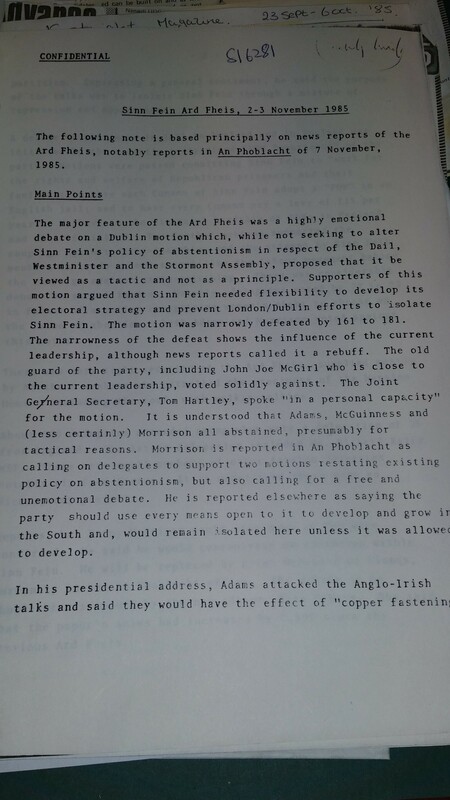 Feedback on “Garret FitzGerald really, really did not like Sinn Féin in 1985”.